The BIG DIG is back so come and get digging and explore Merton's wonderful community gardens. Lots of helping hands are needed to give the gardens a Spring spruce-up, so bring friends, family & neighbours and discover the many benefits of community gardening! There's a job for everyone of all ages & abilities so come along for as little or as long as you like - the orchard's open from 1 to 6 pm. Tools & refreshments provided, PLUS Mitcham Orchard will be hosting a BIG DIG BBQ for all those who help out. We can't think of a better way to celebrate National Gardening Week! 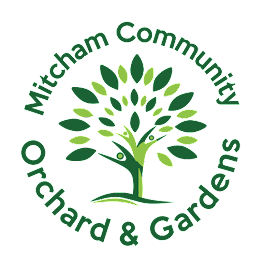 Donate to Water for Mitcham Community Orchard!